In all classes pupils have PE once a week in school time with their teachers, where they do a variety of different activities. Swimming for classes 1 – 6 takes place during school hours in Monkstown Blue Pool on Friday mornings through out the school year, two classes per term.. Junior and Senior Infant children also participate in Sports Day and prepare for same in the Summer Term with their teachers – they have the sprint, egg and spoon, hoop race and stepping stones race. They compete in teams so every child receives a medal at the end of the day. In 1st Class, the children start games in the summer term for one hour after school – rounders and general summer games. They prepare for Sports Day as for Junior and Senior Infants, with their teachers and with the Games Co-ordinator, June Lawless. 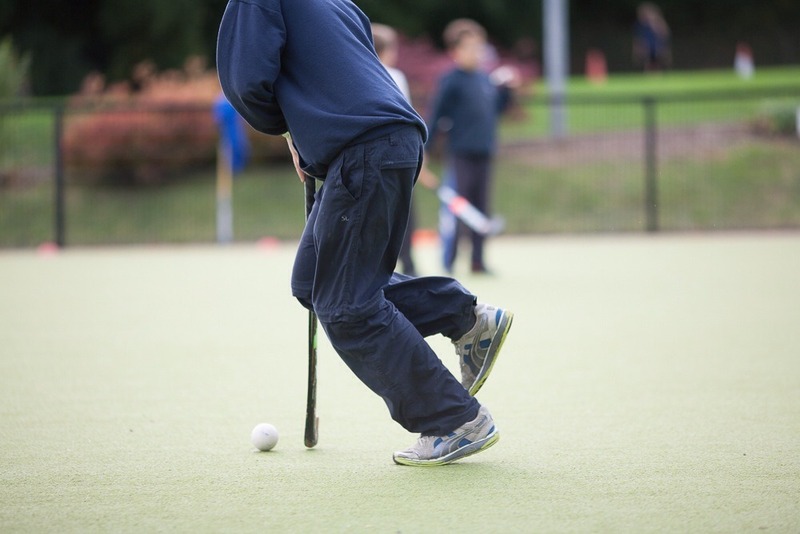 In 2nd Class, the children start after school hockey in the Winter term (one hour, once a week) and have field games in Summer term. They also prepare for Sports Day and take part in high jump and long jump with June Lawless. In 3rd Class, the children add football to hockey as after school activities (games two days per week). If time permits, they may play some friendly matches against other schools. 3rd Class are part of the Senior cycle. In Senior sports they have sprint, egg and spoon, obstacle race, three-legged and relay. They also compete in teams so every child receives a medal. They would compete in high-jump, long-jump and bean bag throwing competitions prior to Sports Day during Summer games. 3rd, 4th, 5th and 6th class girls have their after-school football together once a week. (Depending on numbers one of the classes may play on a separate day.) However after school hockey is mixed and classes play on separate days. Friendly matches may be arranged depending on availability of opposition, time constraints etc. In 4th Class, the children may (depending on numbers in 5th and 6th) have trials for the school football team (mixed) and if successful will play on the team – this involves friendly matches (perhaps 2/3), a pre-Christmas league (3/4 games) and a post Christmas league (3/4 games) plus cup (knockout). For those not on the school team friendly matches may be arranged against other 4th classes if time permits. With hockey they may play a number of friendlies against other 4th classes. They are also part of the senior cycle for Sports Day (as for 3rd Class). In 5th Class, the children are eligible to play for both the football team and hockey (separate girls and boys) teams. Those not on school football team may play in some friendly matches. The hockey teams play in a league (4/5 matches) with a decider at the end of Spring term if they get through from qualifiers. Sports Day and Summer games as for 3rd and 4th classes. In 6th Class, as for 5th. May also get chosen to represent the school in a once-off swimming gala in Killiney/Glenageary. In the Summer term there may also be the option of tennis once-a-week in Shankill Tennis Club. This may not happen every year as is dependent on coach availability, court time, interest levels etc. This is separate from other Summer sports. In the Senior cycle, the children compete for individual trophies – sprint, high-jump, long-jump, football, hockey and tennis cups (all awarded to individuals who fulfill a range of criteria). There is also a cup awarded for sportsmanship, achievement in sports, leadership qualities etc – awarded to a 6th class pupil (not awarded every year if there is no outstanding pupil in that year).